Pyrgadikia is a small fishing village built on a hill overlooking the Mount Athos and Sithonia in Halkidiki. 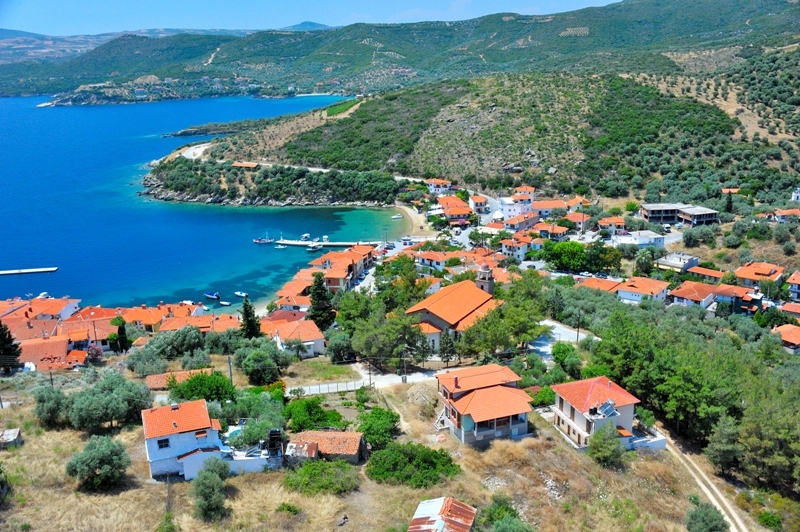 The village is built on an outcrop of rock and lies on the coast between Sithonia and Athos peninsula. It is surrounded by olive trees and low vegetation. It is built amphitheatrically and therefore, from every part of the village, you can see the majesty of the Mount Athos (Holy Mountain) and the peninsula of Sithonia. The church “Panagia Kastrella” has great importance as the icon of the Virgin is there on display. As an old story says, Turkish people threw the icon into the sea, but the locals found and kept it inside a castle named “Kastrella”. Walking around the area and take the road which leads to the Chapel of the Transfiguration, the panoramic view is astonishing while it was used as a lookout point by the Ottomans. The church dedicated to Saint Dimitrios, built in the middle of the 17th century. The tower dating from the 14th century AC in the area called Kambos, which was part of the monastery property. Remainders of a Byzantine castle among the village’s houses. Stop to lunch in one of those traditional Greek tavernas to taste delicious seafood while having a stunning view towards the sea from the built-in balconies.